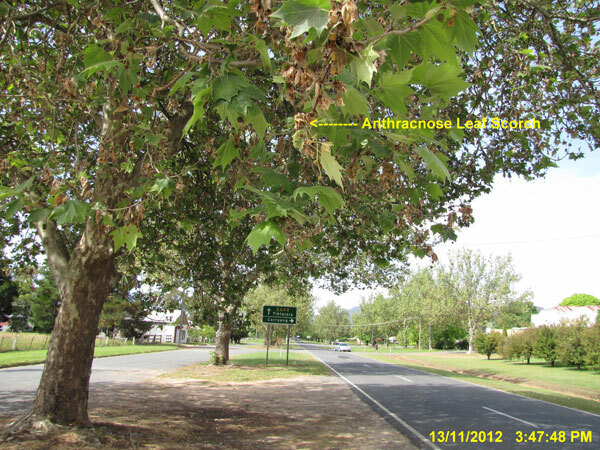 Plane Tree Anthracnose is becoming commonplace now that Spring is here. Quick treatment can often be all that is required to save your tree from devastation. If left untreated, leaf scorching and destruction of buds will occur. 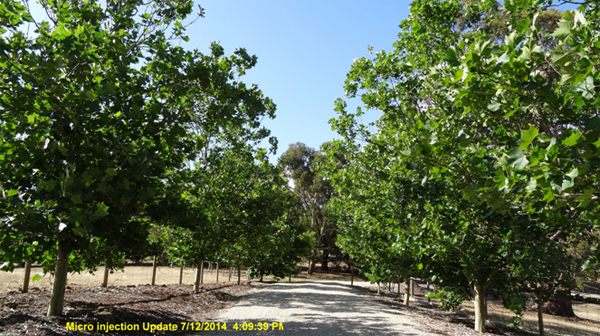 Previous years growth will be destroyed as well as twig and stem growth for the entire season. 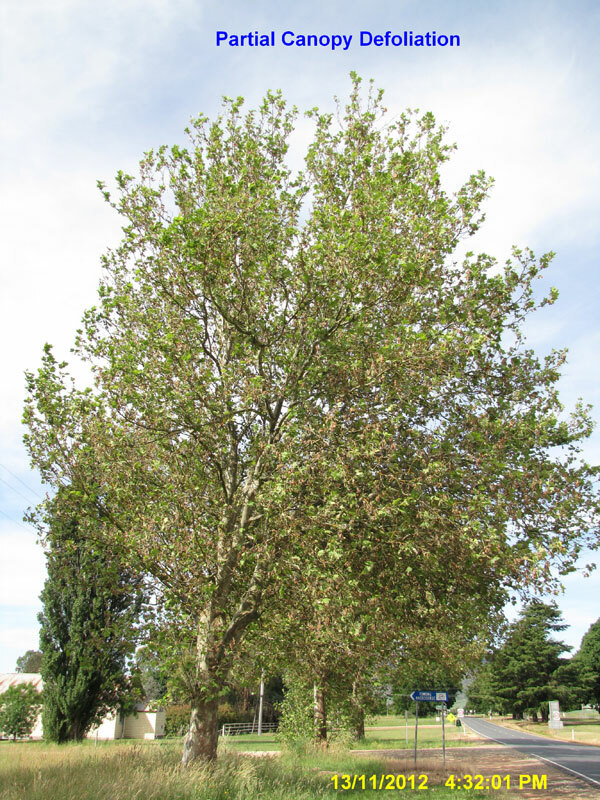 Elmsavers have over 21 years experience treating Plane Tree diseases. Our experience provides multiple options for treatment that are not available elsewhere. Not only is money wasted, but the health of your tree also suffers when ineffective treatment techniques are used. See our before and after treatment photos for proof of effect. 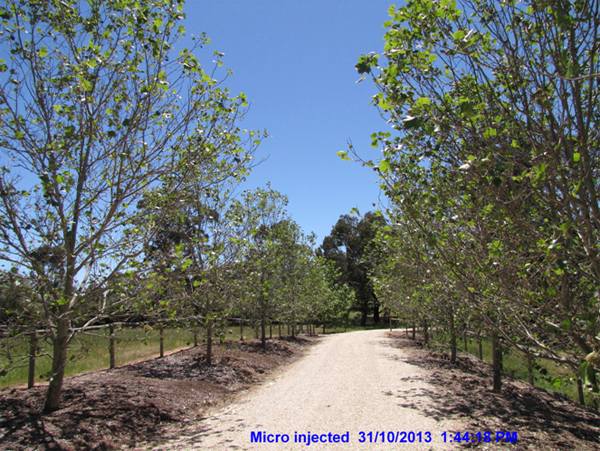 At treatment: Micro injection of a fungicide specifically targeting Anthracnose. 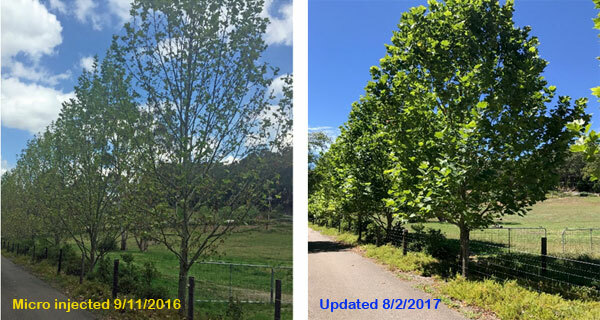 Post Treatment: Effective control can be achieved by a single application every two years, treatments can be tailored to include sycamore lace bug, fruit tree borer by the inclusion of insecticides. 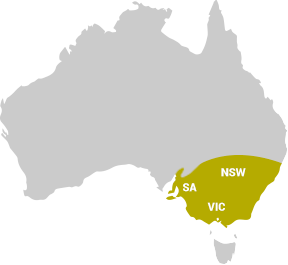 Elmsavers offers multiple options, ensuring suitability of treatment for various location and the surrounding environment. 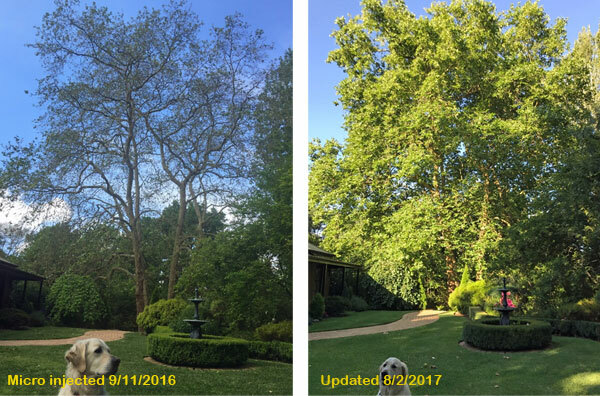 We are experts in treating Plane Tree diseases, and will manage your problems with skill and care. 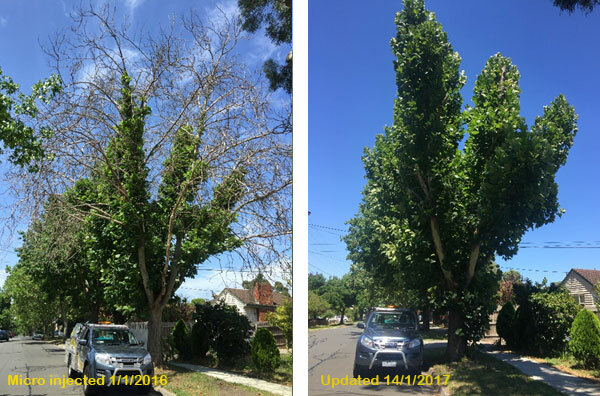 To obtain successful treatment for your tree, fill in our enquiry form or give us a call at 1300 356 728.